There is an initial variable, I, which is set to 100. The for loop goes through each file beginning with db_ and then renames it adding the proper suffix in the iteration (_###). The last step is to increment the value of I. Replace I for whatever you want you suffix to begin with and change db_* with whatever the criteria for the files you want to rename are. Simple, but it works. Recently one of my sites has been having its database crash repeatedly. Investigation reveals it always happens while an aggressive bot is crawling it. Since the site is small it was causing the database to run out of memory and die. The Web Application Firewall that this site is behind frustratingly does not have a feature for blocking user agents. I decided to resort to Apache on the webserver itself to serve as a gatekeeper. The user agent in question? flipboard proxy. It also conveniently appears to ignore robots.txt. Save the file in the root of your website and make sure its permissions are such that your apache server can read the file. Success! Flipboard proxy (and other bad bots) no longer crashes the site. Instead, it gets served a 403 – Forbidden page for every request it makes. For years now I have had a successful split tunnel VPN with my Sophos UTM. Recently I’ve wanted to have a full tunnel option for greater security in remote areas (hotel wi-fi, etc.) Unfortunately setting up such a thing in Sophos is NOT straightforward. The biggest problem I had was that no websites would work after the VPN was initiated. NSlookup was fine, connection was fine, even internal sites would load properly, but no external internet. Thanks to this post I finally found the culprit: the pesky allowed networks feature for each UTM function. In my case, the VPN was allowing all the necessary traffic through but my transparent proxy was denying web access. I had to add my VPN pool to the list of allowed networks to my proxy. Add your VPN pool to the list of allowed networks for each service you use. Recently I’ve been scratching my head over a particular performance issue with Linux VMs hosted on VMWare vSphere. Everything seemed to move at a glacial pace. The Linux kernel has different ways to schedule disk I/O, using schedulers like deadline, cfq, and noop. The ‘noop’ — No Op — scheduler does nothing to optimize disk I/O. So why is this a good thing? 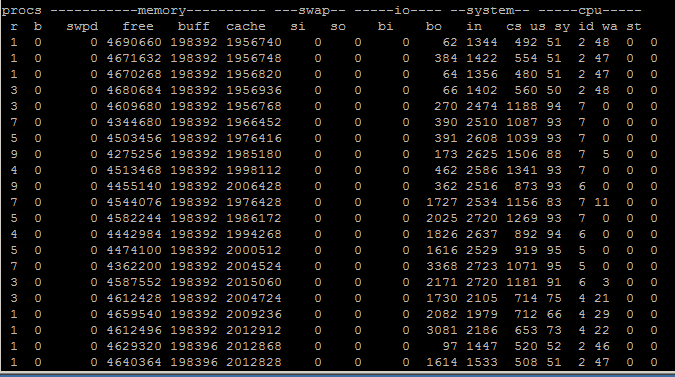 Because ESX is also doing I/O optimization and queuing! It’s better for a guest OS to just hand over all the I/O requests to the hypervisor to sort out than to try optimizing them itself and potentially defeating the more global optimizations. to the kernel parameters in /etc/grub.conf. Sure enough, I modified /boot/grub/grub.conf on my Centos 6 boxes and appended elevator=noop to the kernel line, then rebooted. It helped a lot! Performance no longer was pitiful. I’m not nearly as familiar with vmware as I am with Xenserver so this was a good hint.